A shipping container might sound like an object is only useful for a limited number of purposes including transportation or as a storage container. Today, shipping containers have a variety of uses. Many companies and individuals have come up with creative ideas to increase the usage and value by adding shipping container accessories. Instead of viewing shipping containers as pieces of disposable junk, they are now viewed as a good investment for many reasons. Here are five must have shipping container accessories. 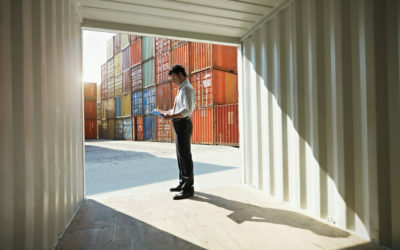 Whatever your purpose is, here are five must-have shipping container accessories to make your container more useful and protect your investment. The easiest way to get rid of dampness and molds is to have a ventilation system installed in a shipping container. 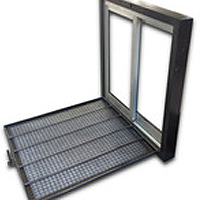 There are numerous reasons why ventilation is necessary. 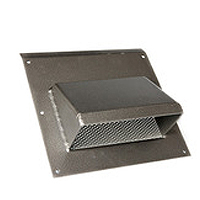 If you are planning to use the container for living purposes or as storage container, vents are a critical necessity for ventilation as well to rid of dampness and possible mold formation. Are you planning to spend a lot of time in a shipping container? By installing a window or possibly a few will bring in natural light and eliminate claustrophobia. Windows play an important part in maintaining the ventilation within the interior of a shipping container. As well windows are quite useful in balancing the overall environment of the shipping container. The basic purpose of a shipping container is for storage. Utilize the space by installing Heavy-Duty shelving specifically made for shipping containers. Space capacity increases for your shipping container with the installation of shelving units. Heavy-Duty shelving can easily be modified according to your requirements. Every shipping container needs a sturdy, reliable lock. 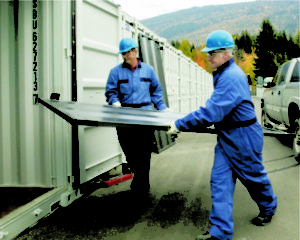 Customize My Container shipping container lock boxes will keep your belongings safe and secure. 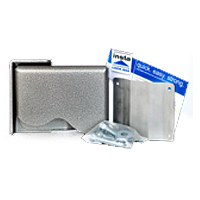 Pad locks are designed with extra security measures to be out of view and not accessible to bolt cutters. Easy to install in under 10 minutes. Doors are already present in a shipping container but are too heavy regular use. 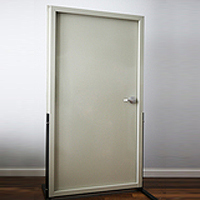 An option would be to install another door essentially used for coming in and out of the container. An additional door in your shipping container provides two incentives. One is to make storage items more accessible to use. Secondly, the process would be much faster. Contact us to learn more about Shipping Container accessories and other products Customize My Container supplies.